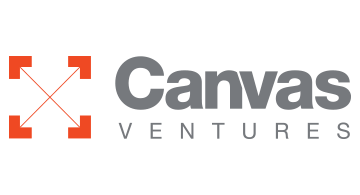 Named a top “VC Firm to Watch” on the Forbes 2015 Midas List, Canvas Ventures is a Silicon Valley-based venture-capital firm focused on making early-stage investments in technology companies. Before joining forces at Canvas, our investing partners—Gary Little, Rebecca Lynn, Paul Hsiao, and Ben Narasin—previously led investments in such notable technology companies as Lending Club, MuleSoft, Houzz, Zenefits, Check, Doximity, Upwork (aka Elance-oDesk), Evernote, Dropcam, and Kabbage. With our thesis-based approach to investing, Canvas is already establishing itself as the go-to VC for fintech, digital health, marketplaces, “new enterprise,” and more. Canvas portfolio companies include Casetext, CrowdFlower, Eden, Everwise, Fluxx, Folloze, FutureAdvisor, HealthLoop, Hustle, Luminar Technologies, Totango, Transfix, Vida Health, Viewics, and Zola.